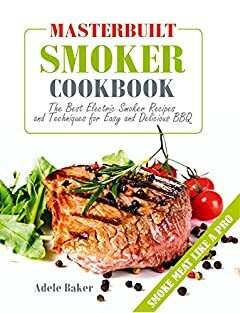 Learn how to smoke meat like a PRO with this amazing Masterbuilt Smoker Cookbook. Using an electric smoker is a worry-free way to make impressive meals packed with flavor. There is no need to stand guard with this easy and wise cooking method — just simply set and forget, and the smoker will do the rest. Try any of these fantastic electric smoker recipes for a perfect, quick, weeknight dinner.